Motivate, the leading specialized insights and media partner for reaching Multicultural, Youth and LGBTQ segments, announced today the completion of its LGBT Consumer Insights study. Motivate was part of a cohort comprised of advertising agencies and retail brands interested in furthering industry understanding of the complex LGBT community. Members of the Latinum Network, a member-based research and insights advisory company, conducted the proprietary study. The goal of the study was to identify marketing insights within the LGBT community to drive media and overall strategy. The study identified distinct LGBT subgroups and provides dynamic insights to help develop strategies that prioritize, reach and resonate with each segment. Over the next few weeks, Motivate will announce the findings in a series of infographics, showcasing data around the power of the LGBT consumer, LGBT social media consumption, the multicultural LGBT segment and top LGBT passions and interests. 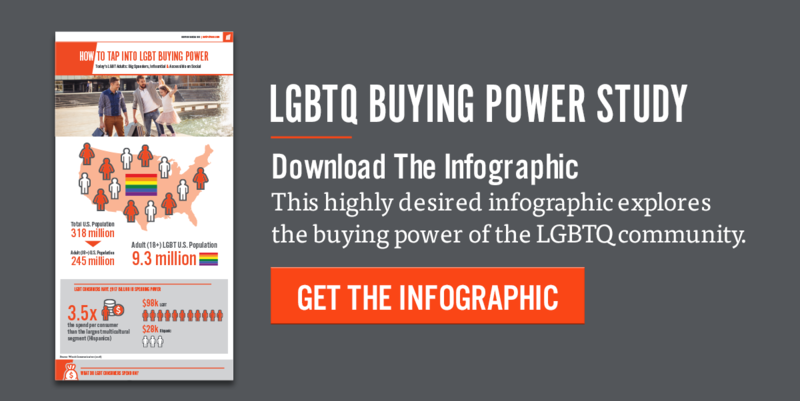 Download the first infographic from our LGBT Consumer Insights study here. Although a relatively small population of 9.3 million, the LGBT community holds a total buying power of $884 billion. LGBT shoppers spend in key categories that reflect their passions, interest and influence, which vary depending on the consumer’s multicultural, generational and socioeconomic background. Using factors such as age, income and influence, the study grouped participants into three distinct LGBT categories: The Established, Millennial Trendsetters and Silent Struggler. The study compared its three subgroups using scenarios, generating deeper insight into lifestyle and purchase behaviors of LGBT adults. This groundbreaking data comes on the heels of Motivate’s recent partnership with the National Equality Media Association — the nation’s only nonprofit dedicated to serving LGBT media. Follow Motivate on Facebook, Twitter and LinkedIn to keep up with the latest releases.